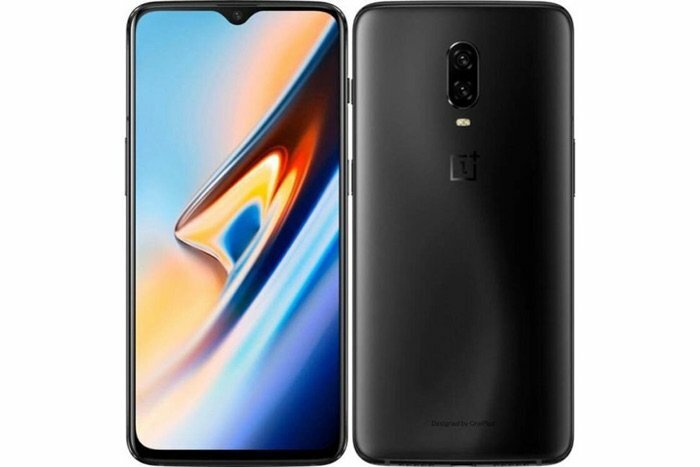 The new OnePlus 6T flagship smartphone has popped up on Geekbench and this has confirmed some of the specifications we previously hears about the handset. We previously heard that there would be two versions of the device, one with 6GB of RAM and one with 8GB of RAM. 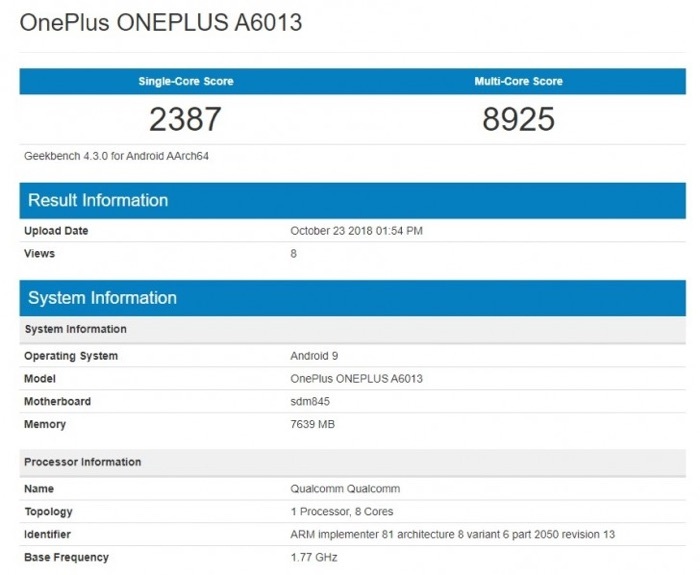 The device listed on Geekbench comes with 8GB of RAM, it is also listed with the Qialcomm Snapdragon 845 processor. Other rumored specifications on the handset include 6.41 inch display with a FHD+ resolution of 2340 x 1080, the display will come with a fingerprint scanner built in under the glass. The handset will have a 3700 mAh battery and will come with Android 9.0 Pie, it will also comes with a front facing 16 megapixel camera, on the back there will be dual cameras with one 20 megapixel camera and one 16 megapixel camera.